An Acquired Taste of Japan – Kusaya! The tradition of eating fermented fish spans cultures from Scandinavia to Europe to Asia. We know of famous examples like garum, from ancient Rome, where small local fish were salted and fermented until they almost liquified. And of the famous Swedish surströmming, where Baltic herring are caught in the spring time, lightly salted and fermented in barrels for months. Japan’s rich food culture, which prizes fish in all of its varieties, is famous for kusaya, a fermented, dried fish that has a mild taste but a most-definitely acquired smell! 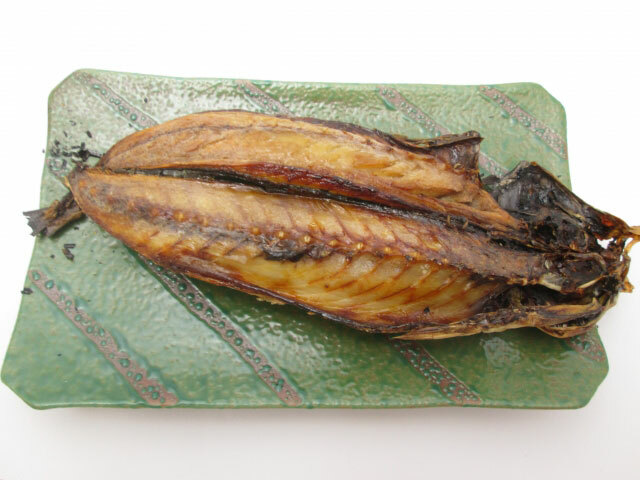 Kusaya is made from small flying fish or mackerel. When made using traditional methods, the freshly caught fish is descaled by hand and then flayed open. The bones, entrails and blood are removed, and the inside of the fish is scrubbed many times in fresh water to remove any remnants. 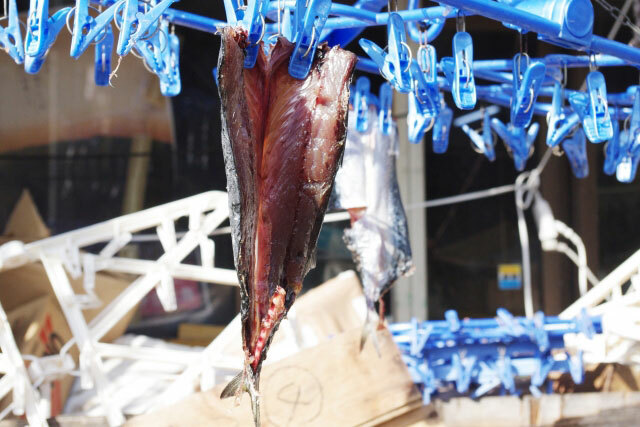 The opened fish is then soaked in a salt brine called “kusaya-jiru” for about 24 hours, then dried in the open air and hot sun for up to two days, before it’s stored in jars. Kusaya is unique in that the brine used to begin the fermentation process is the key to preserving the fish. Every family that makes kusaya in a traditional fashion closely guards their brine recipe. The brines are made of water and small amounts of salt to begin with, then reused for each batch of fish, with some brines lasting as long as 100 years! The brine smells of decay, similar to feces, and an overgrowth of bacteria, lending kusaya the aroma that many who have not grown up with this dish find hard to tolerate. Fermenting fish is a wonderful way to preserve it and to augment and release the umami in the flesh. The fermentation process for kusaya uses the microorganisms in the salt brine to release glutamates from the proteins, sugars and fats in the fish’s meat. These glutamates are the building blocks of umami, the fifth taste in Japanese food culture, and a building block of dashi. Many Japanese eat kusaya with sake or other alcoholic beverages, as it is high in protein and calcium and pairs well with sharper flavors. Kusaya can be purchased almost anywhere in Japan, most generally in canned or packaged form. But if you’re lucky enough to visit a traditional kusaya maker, overrule the smell around you and try this delicacy! And don’t forget to share your story with us! We are so excited to feature our Stainless Steel Food Jars (SW-EAE35/50 and SW-FCE75) this month! They come packed with practical features and in fantastic new colors! The food jars provide a convenient, versatile way to enjoy fresh foods on the go, wherever you are, especially when you need to take foods to a location where a refrigerator or microwave may not be readily available. They come in three different sizes, with the SW-EAE model available in 12 and 17 ounce capacities, and the SW-FCE model in a larger 25 ounce capacity. 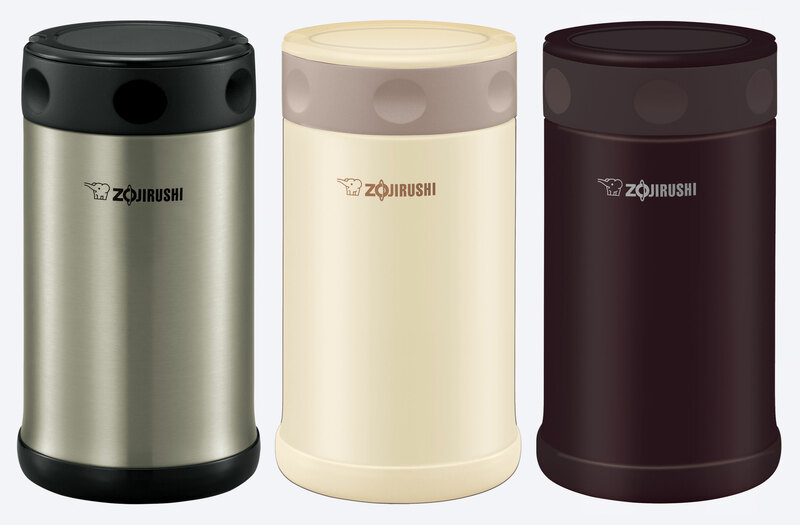 Each food jar uses Zojirushi’s superior vacuum insulation technology, which keeps hot contents hot, or cold contents cold, for hours. By removing the air between the outer and inner layers of the stainless steel, heat is blocked from transferring through it, greatly minimizing the temperature change of your food or beverage. Dimples on the lid make it easier to grab and open the jar, and the tight-fitted lid with gasket seals to minimize leaks and maximize heat retention. 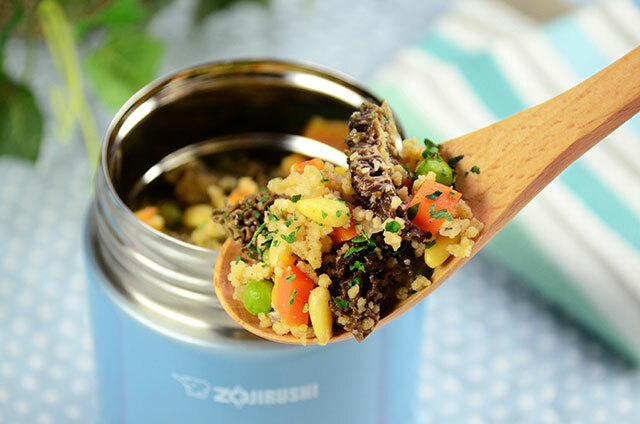 Like Zojirushi’s other vacuum insulated products, these food jars are made of durable and sanitary 18/8 stainless steel and BPA-free plastic. The interiors utilize an electro-polished SlickSteel® finish that resists corrosion and repels stains, and the large 2 ½ to 2 ¾ inch openings makes it easy to fill and clean, as well as allowing for eating directly out of the jar. Both the SW-EAE and SW-FCE models come in gorgeous colors, including Stainless, Aqua Blue, Shiny Pink, Cream and Dark Brown. The range of foods that you can pack and store in these food jars is phenomenal. 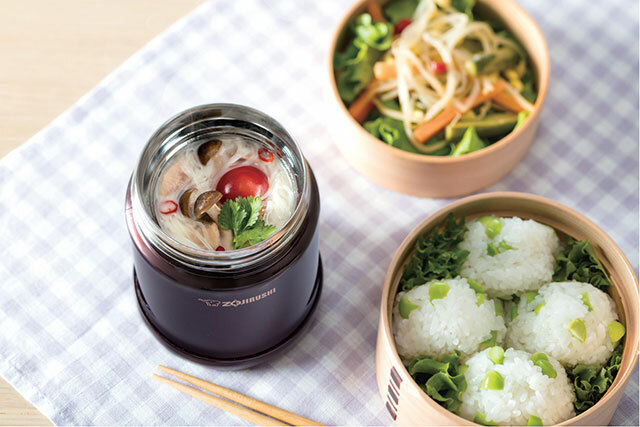 If you’re craving soups, then these food jars are ideal for keeping your soup hot. Try a classic Chicken Noodle Soup or a Rich and Creamy Irish Potato Soup for lunch one day. If you’re in the mood for breakfast, try Steel Cut Oatmeal To-Go in Your Food Jar or a savory Japanese style Thick and Hearty Veggie Porridge. And if you’d like a complete, filling meal, try our recipe for an Adventurous Couscous Medley. 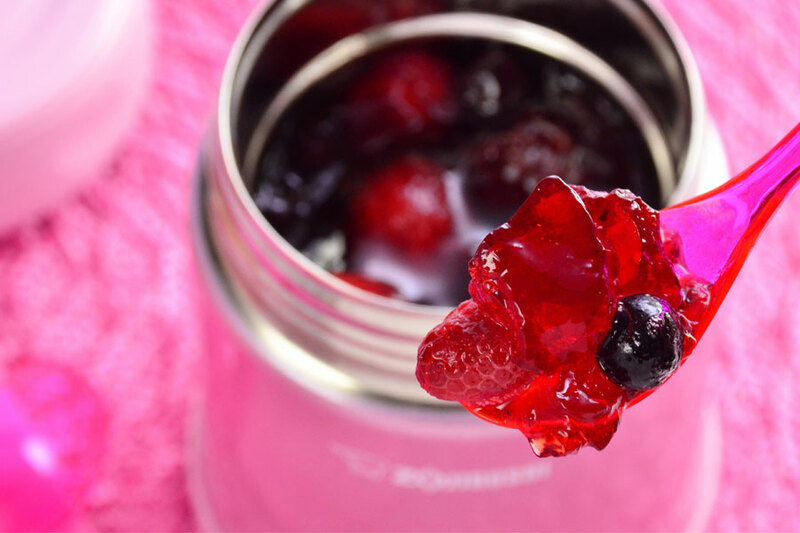 The coolest thing about these food jars is that you can even fill them with dessert and salad. Our Stacked Pasta Salad is amazing and our Red Cranberry Gelatin with Mixed Berries is the best! There are so many uses for these food jars, and the various sizes make it perfect for individual portions and ones large enough to share. Try them out and tell us your favorite foods! It’s time again to review the wacky “Holidays” of the month and get silly. February has its fair share of holidays, but this month I’m going to do something different and direct you to my favorite Zojirushi recipes that everyone can make—to help celebrate these special days. There’s a recipe for everything my friend, and Zojirushi usually has one. I kind of get why this dish has its own special day. Versatile as an hors d’oeuvre and always appreciated as an appetizer, they can be filled with practically anything and can either be served right out of the oven or at room temperature or even out of the refrigerator. 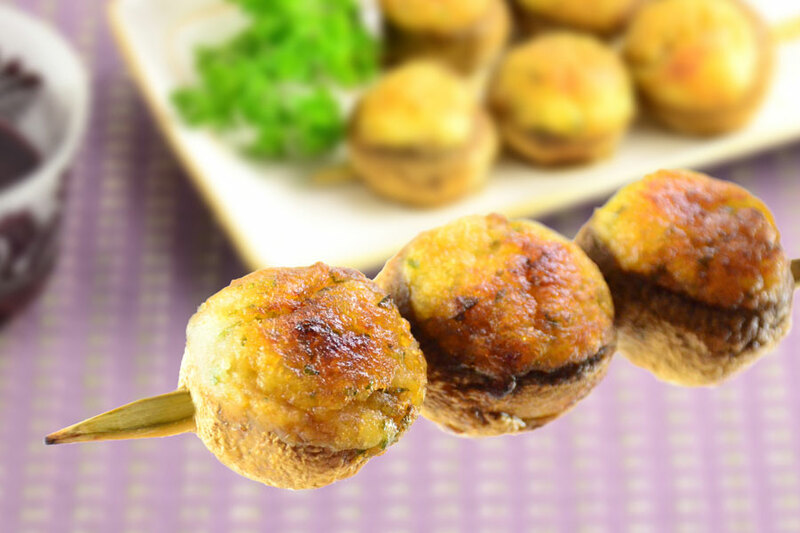 Try these Stuffed Potato Mushroom Skewers—juicy mushroom caps stuffed with classic parsley and mashed potatoes. Looks easy and looks delish! My favorite eating utensil! Sorry, but forks are a waste of time for most things to me—even salads. The only disadvantage is if you want to eat a steak, but you can pre-slice the meat before you serve it, right? Practice makes perfect for handling your chopsticks. Anyone can pick up short grain Japanese rice because it’s sticky and clumpy. You could even scoop up a mouthful with your off-hand if you needed to. BUT try picking up the drier Chinese long grain kind, or for an even bigger challenge, try picking up a grain of rice at a time. To get to this level, you’ll need a sharp pair of excellent quality chopsticks and the hand-eye coordination of a surgeon. For practice, look up this Zojirushi recipe for Kurigohan. 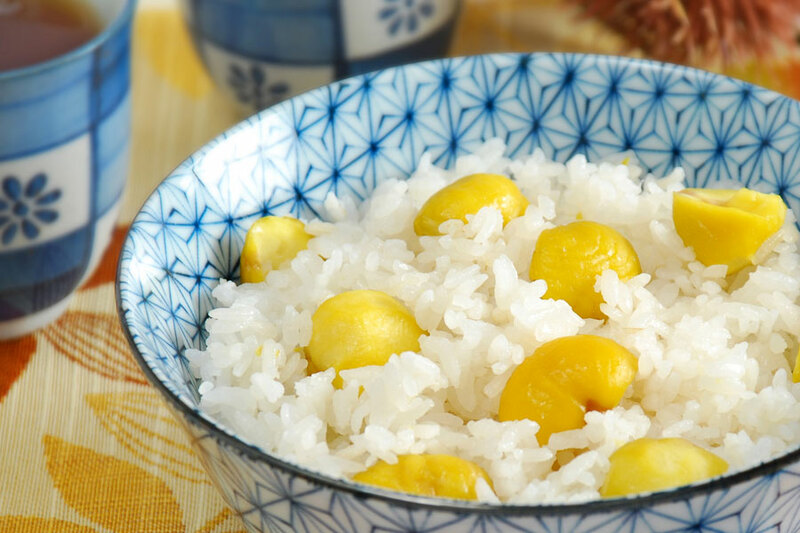 This is very easy to make with your rice cooker. Practice picking clumps of rice first, then graduate to single pieces of chestnuts, then focus on single grains last. Master this, and you are a hashi pro. For more on chopsticks, read this. Alright! Who doesn’t love pizza? 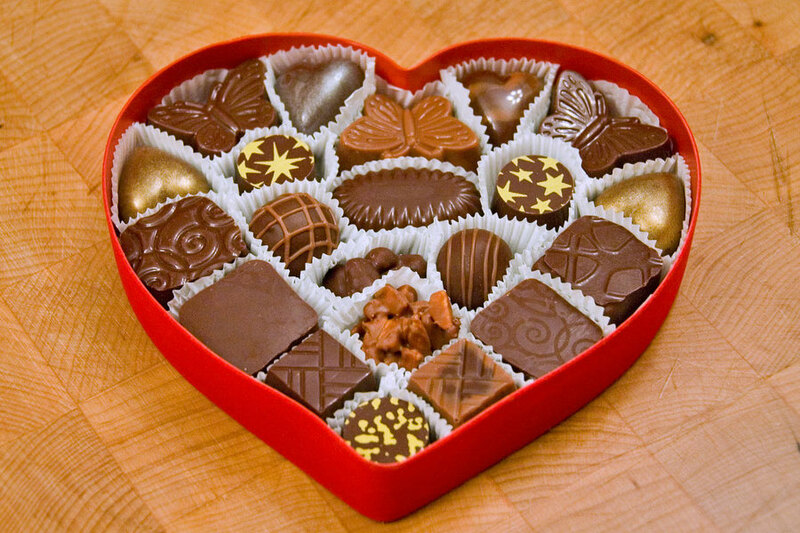 Now here’s a day where we have an excuse to eat one! Of course, on this day you can order one to go or visit the pizzeria on the corner, but you can also scratch-bake one if you have a breadmaker. And you can make it with whole grain wheat so that’s a bonus. 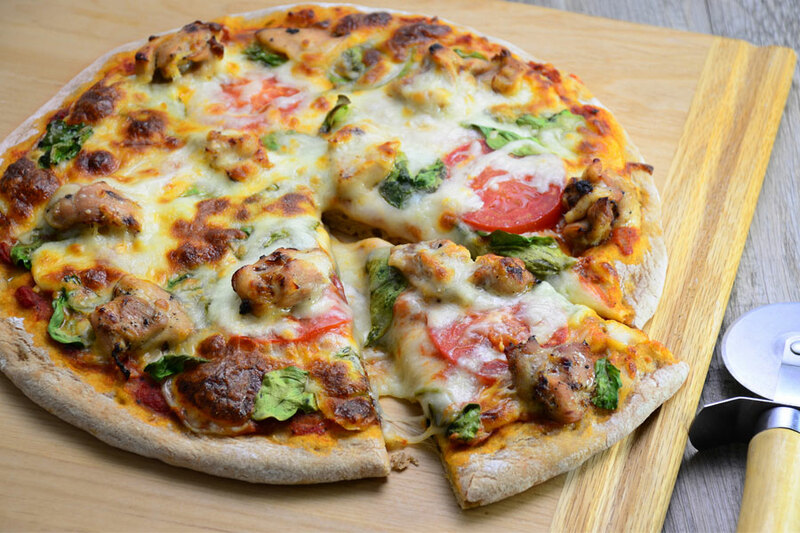 Try the Whole Wheat Chicken Pizza from the Zojirushi website. Home made pizza dough—that’s the way to go! This is the Year of the Dog and will mark the beginning of year 4716 on the Chinese Lunar Calendar. If you were born during this year, it is said that you possess the best traits of human nature. Dogs are a symbol of loyalty and honesty. Dog people are said to also be friendly, smart, straightforward and have a strong sense of responsibility. How about some hot tea to celebrate? Oolong, a fragrant and mild Chinese tea, is loved by tea fans everywhere. 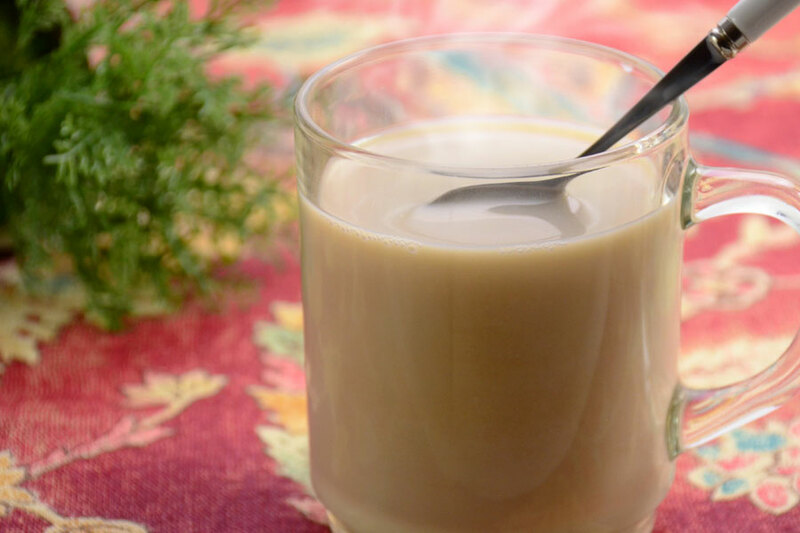 This Silky Milky Oolong Tea recipe is a modern take on it—easy to make and so soothing on a cold night! Believe it or not, the familiar triangle shaped chip was born in Los Angeles, California, and not Mexico. In the 1940s Rebecca Webb Carranza decided to make use of the tortilla rejects from her tortilla manufacturing machine that she was using at her Mexican deli. The snacks became popular and the rest, as they say, is history. She received the Golden Tortilla award in 1994 for her contribution to the Mexican food industry. 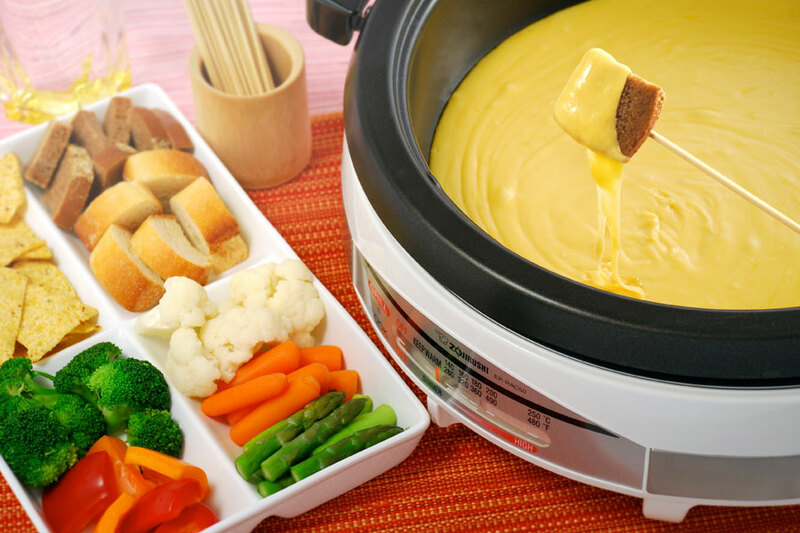 So help celebrate National Tortilla Chip Day with a hot Cheese Fondue using your Zojirushi Electric Skillet—YUM! CHEESE! You can prepare lots of other ingredients to dip too, and make a party out of it. There are crazy holidays for every day of the year—which on is your favorite?